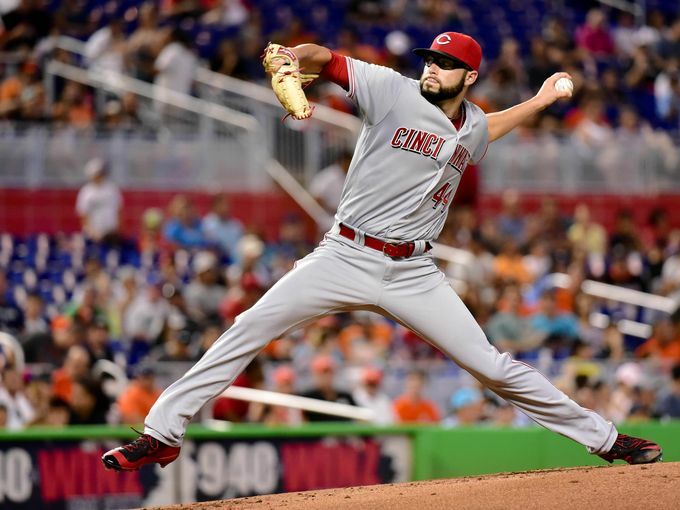 Marlins caveat applies to be sure, but Cody Reed followed up his five shutout innings against the Cubs with six more against Miami. 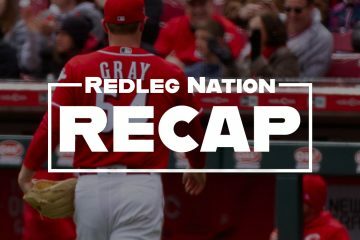 Reed is making a strong case for inclusion in the 2019 Reds starting rotation. Luis Castillo, who used to be in the Marlins system, pitches for the Reds tomorrow night. Making his fifth start since returning to the rotation on August 30, Cody Reed struck out six and walked none. He threw 71 pitches, 51 of which were strikes. Reed was pumping fastballs from 92-95 mph and kept the Marlins hitters guessing with his slider that he could spot on both sides of the plate. Favorite Cody Reed quirk: Turns back on opposing batter when he strikes him out. Scooter Gennett provided the RBIs with a 2-run double in the 3rd inning and an upper deck 2-run home run in the 7th. In the third, Billy Hamilton and Scott Schebler scored, both of whom walked. In the 7th, Jose Peraza was on base for Gennett’s home run after singling. Both of Gennett’s hits were with two outs. One more start that comes anywhere close to the past two, and I think Reed is one of the leaders in the clubhouse for the 2019 rotation. Why was he taken out, after only throwing 71 pitches? According to Riggleman’s coaching philosophy young pitchers have to be taken out before they get in trouble. Aged veteran’s can go on out in 7’th and give up 3 run homers. and stay in. Castillo/Mahle/Reed/Disco is a decent foundation for a starting rotation. Still need one more legit starter to anchor the whole thing, but it’s not hard to squint and see some semblance of a MLB rotation there. Fantastic back to back outings by Reed. Tonight he pitched out of trouble (which Interim Jim hasn’t let him even try to do before), and he threw strikes. 6 K’s in 6 innings vs. 0 walks. It’s a really small sample but I’m so encouraged that Reed followed up his last terrific start with another strong outing. Hard to think he hasn’t pitched himself into the conversation for the 2019 rotation. He should get one more start next week – I can’t wait to see how it goes. The 2019 rotation taking shape. Who to slot in at #1? Well, of course! They are paying him ~ 20 mill next year. He will get chances to start. #1 depends on who they are willing to trade or how much money they are willing to spend. I’m not counting on Disco until he comes into camp and successfully starts back up because that’s what he has been unable to do three years running, twice with the same injury. Recall that at 2016 season end, his spring startup issue appeared to be behind him only to bite back again, and again. I think they should plan like he is not going to be there then deal from a position of strength if he is. That’s where I’m at with Disco as well. Don’t count on him being ready at the beginning of the season and enjoy the good fortune if he is ready to go. Of course my philosophy on that is you always want one more starter than what you think you need (for your top 4). So basically, have 5 guys that can be good starters. One of your starters is almost certainly going to get hurt. Your 5th starter in most cases can be skipped and the slot could be filled by several different guys; really whomever is pitching well at the time. This is especially true with the 10-day DL. Agree. I wish it had come about earlier in the season. That’s a better rotation than they’ve had…but still shaky. It’s one of those “if it all goes according to plan…” which to some degree, I get you have to take some chances. I still think if it can be done, the Reds need 2 new legit starters… They’re a Disco or Castillo injury away from having to be right back to running out Stephenson or some lesser pitcher on a regular rotation turn and working towards 90 losses. If Reed can’t stay consistent, or Mahle doesn’t find his stuff, they’ve got three #5’s (Mahle, Reed, Lorenzen) and Disco and Castillo. And as people are saying, it’d be a shock of shocks that Bailey isn’t throwing until he’s hurt or something. You can only do so much about the injury bug, but man, I’m tired of non-stop patchwork. The Brewers and Cubs aren’t going anywhere… time to gear up and go. Let’s see how Lorenzen does Sunday and hopefully next week. His command was locked in against the Brewers, but at times, he loses it. Let’s see if he can repeat those mechanics in his next start. If all goes well, I hope they let him throw 70-75 pitches. I agree but I think we are both dreamers on the pitch count. They seem more concerned about possibly damaging him as a reliever property than finding out if he can stretch out to a full starter.At least some of this direction of it must be coming from on high. Maybe he is seen as potential trade bait as a competent reliever with the potential to be used offensively. With Reed showing promise we can pencil in Mahle and Romano in the bullpen for 2019. Along with Hughes, Hernandez, Garret, Iglesias and Peralta this gives us a really deep strong bullpen. This will limit the times our starters have to go through the dreaded Ã¢â‚¬Å“third time Ã¢â‚¬Å“ through the line up..
Also we really need to consider moving back the wall at gabp about 15 ft. Our young pitchers just seem so much more comfortable in big fields, like Kansas City and Miami. The moving back of the walls at GABP has been mooted because of structural concerns, drainage systems, etc. It has been reported as being much more involved and intricate than moving the wall itself back. I kind of went crazy on moving back the wall alternatives a month or two ago. In RF which is the problem area, how about removing the 2 rows of seats from the bullpen to the power stacks. Install the an inverse of the Wrigley basket sloping upward from the top of the wall to a height of 12′ above the playing field at the back of where the 1st row of seats now is with a vertical section at least a foot high to deflect balls hitting the screen back onto the playing field. Any ball hitting screen and returning to the field of play is in play; any ball hitting the screen and going over is ground rule double. This wouldn’t create any additional outs but it would turn a number of homers into doubles with the added excitement that some balls coming off the screen could create opportunities for triples. Or the simplest of all, just put a traditional screen to a height of 12-14′ above the field level on top of the wall. If fans in some of the most expensive seats in the park are watching the game through safety netting, there is no reason several rows of fans in the OF can’t watch through a screen. The sun, moon deck at Crosley field and many stadiums back in the day were that way. Eliminate a couple thousand seats in the sun/moon deck and raise the right field wall, or add a screen to the top of the wall since fans watch the game back of home plate through a screen. No need for major utility reconstruction. Regarding Tyler Mahle and the comment above about who would be the #1 starter…. Mahle will be in his age 25 season in 2019. Among all MLB starters with at least 100 innings pitched in 2018, he ranked in the Top 50 with 8.84 Ks/per 9 innings. Maybe give Mahle every chance to be the #5 starter, bump the others up above all up a spot in rotation? I would take a chance on a kid making less than $600K with a swing-and-miss arm, cost controlled through 2023, before I would chase Dallas Keuchel, who the World Champion Astros don’t seem fussed about losing for his age 31 season. And will cost $20 million per. Mahle has to be in the conversation as a starter next spring. It’s easy to forget how good he was for three months. Big question is how much his rapid decline was about fatigue (hopefully not injury) and how much was about his work-in-progress secondary stuff. I just hope they use all of this “sorting” to at least use for deciding who plays next yr; rather than basing it primarily on two months of Spring Training! Agreed! That isn’t the “Reds way” though. I think Mahle and Disco both suffered from “tired” arms this late in the season. Don’t judge them too harshly on their last starts. But looking closely, I certainly would think long and hard about offering Harvey a big contract. At times he has looked good, at other times, not so good. Millions for mediocrity? And remarks elsewhere that the Reds were interested in Marcus Stroman of the Blue Jays. My issue w/ Stroman is that if I’m not mistaken, he is only under team control through next season. I haven’t double checked but if I recall he’s lost and won arb cases in the past so he’s had 2 arb years. Looks like Stroman was a super2. He his service time was 3.148 at the start of the 2018 season. He remains under team control thru the end of the 2020 season. Reed was very good again but Bob,after having done really well at the end of 2017 with a much bigger sample size,struggled in spring training and was thrown under the bus.The Reds have to stop and just let these young guys pitch.We as fans can anoint these young guys or throw them away but the Reds have to let them pitch and accept the outcome with the understanding they are gaining experience which make them consistent.Give him the ball every 5th day and tell him we will ride you until you find success or hit the wall but give him 25 starts or more.The Reds won’t give guys a legit chance which is obvious because they don’t release or trade anybody because they are afraid somebody else will and they go on to be a good major league pitcher.This is why other teams develop pitching and we don’t.Our guys have been recycled so much they don’t even know if they are releivers or minor leaguers or even on the roster.They pitch in fear of failing and ALL young pitchers fail early.STOP the nonsense and pitch em or trade em and move on. Completely agree. The Reds lack of patience and commitment to some young pitchers, not letting guys take their lumps while learning to pitch at this level, yo-yo-ing them between relieving and starting and AAA has been a detriment to developing a pitching staff. As you mentioned Stephenson had a better stretch from the end of July-end of the year last season than any young pitcher not named Castillo. Yet based on the ludicrous idea of ST competition he wasnÃ¢â‚¬â„¢t given the opportunity to start the season with the Reds. Reed has had less chances than Stephenson to start. 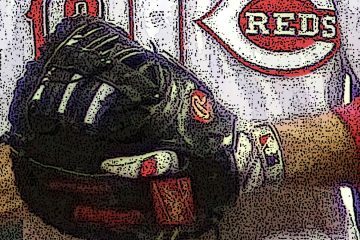 If thereÃ¢â‚¬â„¢s been no progress in sorting, how the Reds have handled a young staff is the main reason. If it was just hits and homer in ST sure, but if they are not finding the strike zone or tweeking mechanics, AAA is the place for that. Very encourage by Reeds start by the numbers last night, didn’t see any of it unfortunately, but from the stats it seems like he was getting ahead of hitters again and that usually is a big help. Maybe he’s discovered something that work for him. Reed seems to be using the same battle plan Stephenson was trying to use, favoring his slider over fastball. It is working for Reed at MLB because he has been able to effectively spot his fastball for strikes or to have it put into play for outs while Stephenson couldn’t reliably throw strikes with his fastball when he finally got called up. Much like Reed in 2016, Stephenson appears to have peaked several starts before he was called up this year. Only he (and perhaps the team) know if that had anything to do with his “tender shoulder” which has him sitting out on the DL. Decisions should not be made on a handful of ST starts against uneven competition in an environment where guys are rounding back into form. Base decisions on the actual big league results he posted for 2+ months. ItÃ¢â‚¬â„¢s ridiculous to do otherwise but the Reds have cornered the market on ridiculousness. Didn’t I read that Stephenson has some sort of injury? Sore shoulder. Not clear rather or not it affected his starts. It’s hard to tell with pitcher injuries sometimes. I mean pitching, by its very nature, is unhealthy. Guys are always sore. Sore vs injured is tricky. Apparently Stephenson may actually be injured and it may have affected him. “Tender shoulder” is as much of a public statement as I have seen about Stephenson. He is officially on the 10 day DL which ironically Bailey is not. Seems I recall a week to 10 days ago Riggleman made a statement about RS similar to what he has said about Mahle, i.e. he might pitch again this year and then again he might not. Right now I think it is looking like the “nots” have it for both of them. BTW, Mahle has not officially been put on the DL which with new rules regarding injury reporting they would be supposed to do even in September if his disability was such he would be DLed at some other point in the season. I would suggest that everyone has been given a chance. We can wait several more years while all of the young pitchers figure things out, or we can try to capitalize on what productive years Joey Votto has left while surrounded by what appears to be a very solid offensive cast. I’m sure there are people who still think Robert Stephenson is going to turn into a top-of-the-rotation starter. As a life-long Reds fan, I hope he does. At some point, performance has to trump potential, and he has to show that he can actually perform at an above-average level in the big leagues. While I hope it happens, I am not holding my breath. He is the key question mark next spring training because he’s out of options. Everyone else of note can still be optioned. I’m with Roger from the standpoint that he says “move on.” It’s my belief that the front office feels the same, that it’s time for performance to trump potential. I do not believe Stephenson will be a top of the rotation starter, even though I believe he still has a high ceiling. I also do not believe he has been given a legitimate chance to start. More than any other of the young pitchers he was hurt by the Harvey trade and not flipping him at the deadline. Then the continued use of Homer Bailey. I understand that the Reds had a lost cause with Mesaraco and obtaining Harvey was a good gamble, but not flipping him for something was not a good decision. The continued use of Bailey… well that was a money decision. But both decisions kept Stephenson in the the minors, when the Reds should have been sorting. So his 2+ months of 3.50 ERA as a starter in 2017 wasnÃ¢â‚¬â„¢t above average? ThatÃ¢â‚¬â„¢s better than anyone in the current rotation is posting. Three poor starts this year is enough to outweigh that? There isnÃ¢â‚¬â„¢t a starter on the Reds that hasnÃ¢â‚¬â„¢t had a poor stretch. And, for the record IÃ¢â‚¬â„¢m not saying heÃ¢â‚¬â„¢s top of the rotation, but i recognize he has the stuff to be that guy. WOW! 3.09 pitchers per batter faced; 11.8 pitches per inning. These numbers are the anti-Stephenson. My enthusiasm is tempered knowing that he pitched to the Marlins, but last good start was against cubs. Yes, and throwing strikes is at least somewhat independent of the opponent. Fantastic start by Reed. HeÃ¢â‚¬â„¢s pitching like the guy we hoped heÃ¢â‚¬â„¢d become when we got him over the past two starts. I do hope this has put him firmly in the rotation conversation next year. Having a solid lefty would be a boost to our rotation. I vote we find a Way Back Machine and bring back Rijo to anchor the rotation. Man, that guy was fun. Funny. While you are there, pick up Johnny Vander Meer, Jim Maloney, Tom Seaver and Don Gullett. And why not Johnny Bench, Vada Pinson, and Davy Conception. All problems solved. Anyone notice our young pitchers recoiling at the end of their pitches (Lorenzen, Garrett, Reed). What’s with that! It seems to leave them completely unprepared for defense. Or am I just seeing things? Talking about the fences does anyone remember when the Dodgers moved to the LA Coliseum, I believe the left field netting was 40 feet high. Increase the left and right field fences to 20 feet with netting and see what happens.